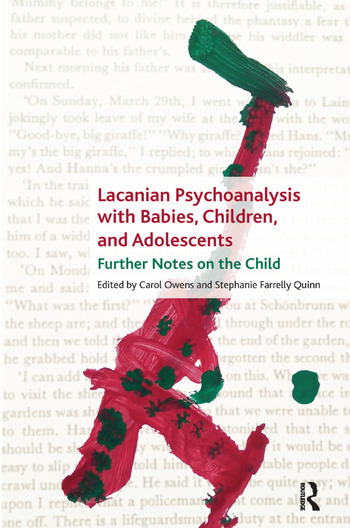 Lacan did not say or write very much about the psychoanalysis of children. There is no doctrine of the psychoanalysis of children in his work. Instead, his 1956-1957 seminar on 'the object relation' and his 'Note on the Child' of 1969 have been adopted by Lacanian analysts working with children as providing essential coordinates for direction in their clinical work. This book is the result of inviting psychoanalysts of the Lacanian orientation working with children around the globe to theorise and conceptualise that work. The Lacanian psychoanalyst works with the notion of the subject as a 'speaking being', but the child subject brings particular exigencies to the psychoanalytic work. Contributors attend to these exigencies in their essays by articulating the precise particularities of the direction of the treatment and psychoanalytic work with children.